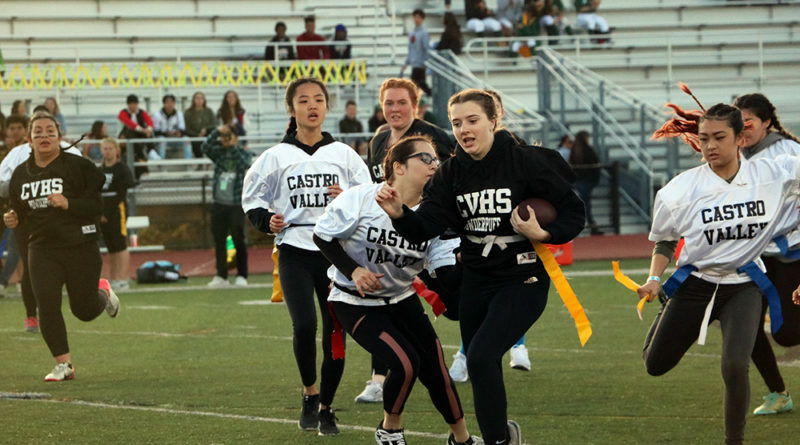 The Powder Puff football game on April 13 saw an upset victory after the freshmen and juniors took home the trophy. The sophomore and senior team played good defense, but after four scoreless quarters, the freshmen and juniors overpowered them and scored a touchdown in overtime for the win. “Going into the game, we just wanted to have fun and compete,” said junior coach Brian Trevino. “We were thrilled with the way they played and did a great job and seemed to have a great time doing it,” he said. The game started off exciting with well planned out plays, but the scoreboard was still blank by the end of the second quarter. Despite a major push by the sophomore and senior team, the clock hit zero and the game was still scoreless. After the offensive from the sophomores and seniors, the score was still 0-0 and the freshmen and juniors had the ball. “Our plan going into overtime was to try and run our best plays and work the ball into the end zone,” said Trevino. Junior Sydney Burnama, playing quarterback, was able to secure the win for the freshmen and juniors during overtime with a last minute touchdown. “I was focused but ready to have some fun and make the game enjoyable for everyone,” she said. With less than a minute left on the clock, she ran the ball in for a touchdown and the victory. 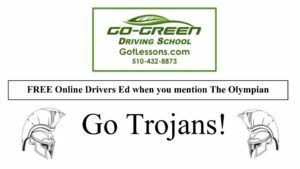 “It all happened so fast, when I scored the touchdown I turned around and my whole team was racing towards me and it was just a super exciting moment,” said Burnama.